Australia produces some truly spectacular wines – and nothing rivals tasting them on the lands where they’ve been grown and produced. There are a whole host of vineyards in stunning locations that are easily accessible from most of Australia’s capital cities. We can arrange private food and wine tours with in unique, quintessentially Australian locations, such as blending classes in the famed Barossa Valley, fly fishing as you sip Tasmanian wines, surf and wine experiences in the Margaret River, and behind the scenes tours in the oldest vines in Australia at the Hunter Valley. 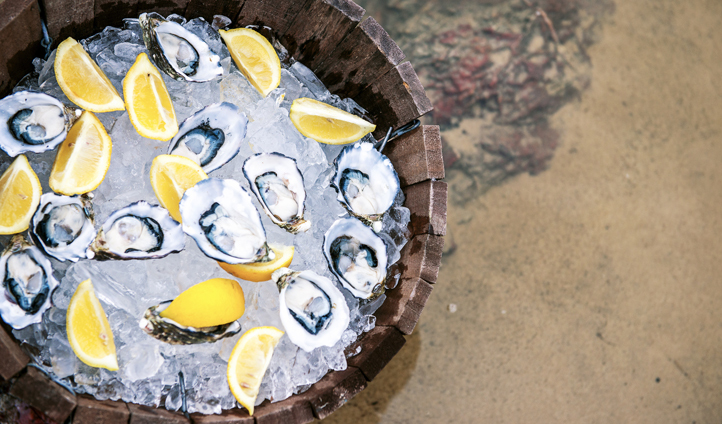 Collecting oysters at Eyre Peninsula in South Australia is a wonderful enough experience that you may be at a loss as to what could heighten it. A swim with sea lions and dolphins on this dramatic coastline will certainly leave you hungry for your seafood feast. Welcome to the Outback, a vast expanse of beautiful nothingness, where you’ll settle down to a three-course gourmet meal in amongst the wilderness. Sip drinks as you watch the changing colors of the gargantuan rock, Uluru, as the sun dips. Then you’ll feast on a gourmet dinner under the stars as you listen to ancient stories told by local guides. You’ll be hard pushed to find a more magical and atmospheric dining experience. For the ultimate Sydney lunch, take a seaplane to the revered Cottage Inn restaurant for what will prove to be one of the best lunches, with wine pairings, you’ve ever tasted. The unique mode of transport to reach this gem is on a par with the restaurant itself; this is a truly unique Australian culinary experience.